As the days start getting longer and warmer, we start feeling that spring approaching. Our winter clutter has started to show it’s face though. We know how it feels when you don’t know where to start in cleaning and simplifying your home. Don’t worry, we’re here to help you out and to stay clutter-free! Join the Spring Cleaning Challenge to make clutter a thing of the past! During the month of March, we’ll be slowly help you declutter your house room by room and help you make it a regular habit in your life. Each activity you complete bring you closer to a drawing for a chance to win the prizes below. The first goal is your closet! Start sorting today or tomorrow and list clothes, shoes or accessories. We’ll be updating our Facebook page every day with tips and the new goal for the day. So check back everyday or check the Listia app to see what today’s challenge is! 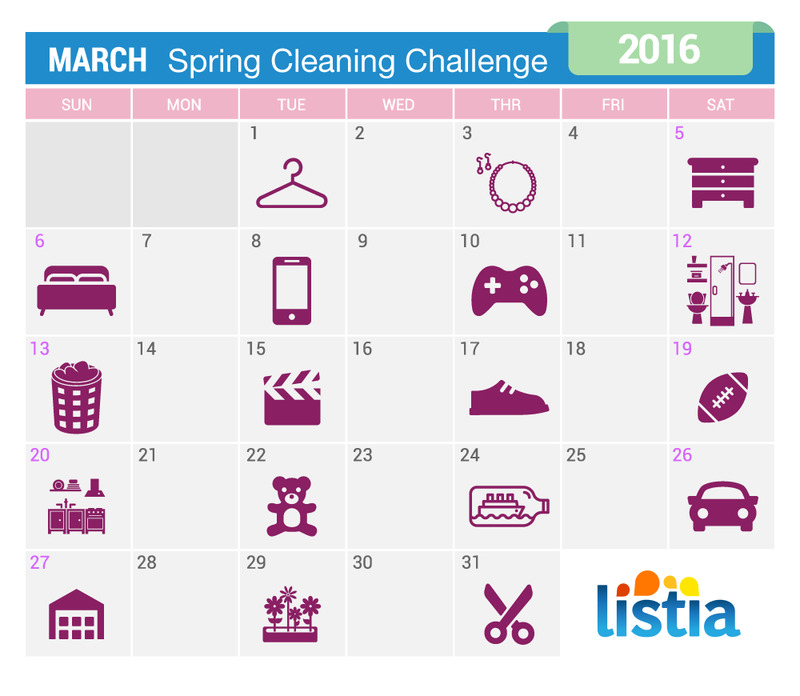 We’re excited to announce the winners of the Listia Spring Cleaning Challenge! 🌻🌷🌼 So many of you participated and started living a simpler life one room at a time! Without further ado here are the winners!